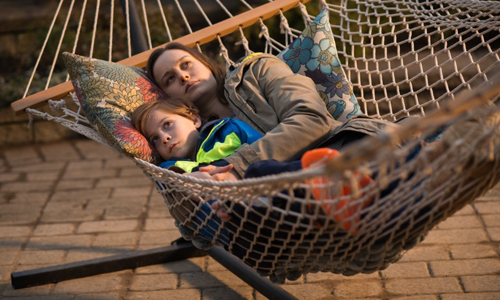 At the beginning of Room, our point-of-view gracefully spins while looking up at a skylight surrounded by a grid of soundproof panels, the only source of natural light shining down into the film's dim, musty focal location. It's not enough of a rotation to disorient those watching as they listen to narration from a five-year-old boy about the space underneath, but it's enough to emphasize the claustrophobia one might feel if they were to look upon that square every day for many years on end, unable to see anything of the outside world beyond what's visible directly above them. Lenny Abrahamson, whose previous feature, Frank, dealt with the impacts of isolation in quirkier ways, directs this adaptation of Emma Donoghue's novel with his perspective clearly focused on the psychology of the situation: how a mother-son duo might cope in this confined prison, sure, but also how the experience will leave its mark if they were ever to escape. By turns inspiring and disheartening, a stark portrait forms in how the experience would drive and alter the personalities of both the parent and her child. Shortly after this glimpse up at the skylight in this box, Room begins its depiction of the daily affairs of Joy "Ma" Newsome (Brie Larson), a mid-twenties woman, and Jack (Jacob Tremblay), her long-haired son, both pale and somewhat scraggly but otherwise in healthy condition. For seven years, the pair have been living under (electronic) lock and key between the walls of a renovated shed, working with minimal supplies dropped off by their captor, "Old Nick". Joy attempts to make the space as normal of a living environment as she can for her son -- cooking, cleaning, exercising, bathing, playing games -- in between "visits" from Nick, an unsettling but otherwise consistent situation that has transformed into a routine of sorts. As Jack gets older and the circumstances become more explosive, that stability comes into question, putting their lives in danger. Desperate, Joy formulates some incredibly risky ideas of how she might be able to get her son out of the room, with the hope that he'll also be able to direct authorities to her location. Captured in overcast blues that stress what little warmth remains in their skin, Emma Donoghue's story has every opportunity to exaggerate the dramatic tension within these disturbing conditions, to magnify scenes of mistreatment or despair for heavier impact. Her concentration on the relative ordinariness of their daily routine veers from exploitation for a more rational and profound viewpoint, with the grim reality of their situation emerging in smaller conflicts -- tooth pains, burnt bread, pest intruders -- that reveal how Joy has tolerated, and will continue to tolerate, their many challenges for the sake of her child. Shaped by Abrahamson's raw, location-aware direction that lingers on details like a dirty wardrobe and cracked eggshells, Room restrains its most ominous aspects and concentrates on a private glimpse into their state-of-mind: how they find contentment within, or shelter themselves from, the hardship. Occasionally off-screen or buried in conversation, the harrowing details of their imprisonment are always there, but never interrupt the film's development of their bond ... until they must. Eventually, of course, they do. A change in circumstances threatens their modified way of life, both in the immediate odds of their survival and long-term psychological impact, transforming the tenor of Room from disheartening drama with glimmers of hope to profound suspense and anxiety. While the tenderness of Joy's composure offers poignant moments early in the story, in how she maintains her self-control and disguises the truths of their situation for Jack, the enormity of Brie Larson's exceptional performance only begins to reach its profound highs upon her character's frantic realization that their livelihood is no longer guaranteed. Fear, defeat, and burdened dedication emerge in the actress' wide, strained eyes and tight body language, escalating further as she formulates risky solutions with their paltry resources. Bolstered by Larson's stirring portrayal, the escape from their prison forms into one of the starkest depictions of perilous desperation of recent memory, underscored by emotive post-rock music from the band This Will Destroy You and cinematography that embraces what it might look like to gaze upon our vast world for the first time as a sheltered five-year-old. This bond between mother and son that develops throughout their time in the shed only deepens -- and complicates -- once Room surveys the damage that the experience already forced upon them, wisely depicted through the chain of events following their getaway. Exceptionally realized by Jacob Tremblay, Jack's hesitation and dread lead the film's emotional tone through the psychological challenges faced by the family after such a prolonged separation from society, introducing questions about Joy's decisions during and after the imprisonment that a lesser, more deliberately jubilant drama might sidestep. Donoghue's evenhanded outlook on the situation produces a tough, yet absorbing viewing experience that doesn't offer instantaneous rewards for enduring the situation, navigating through issues involved with family reunions, media attention, and what might really be the right thing for the young boy's post-trauma childhood under the circumstances. 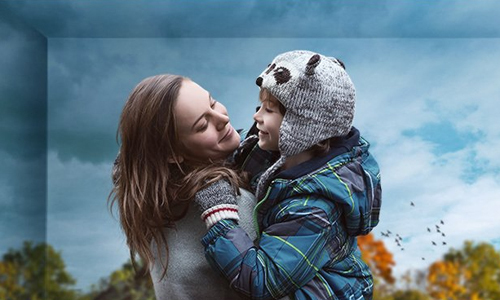 Instead, Room earns its challenging emotional payoffs and catharsis through the masterfully-handled honesty of its tribulations, guided by Abrahamson's soulful composition and the meaningful performances under his care. Shrouded in the depression and wistfulness she's allowed to have over what's happened, an evolution of Brie Larson's performance as Joy forces the film through a thought-provoking look at the difficulties of recovery, bridging the gap between optimism in traumatic circumstances and downhearted introspection during which should be a therapeutic period. And it never abandons that artistic standpoint that started with a swirling ceiling, either: amid photographs, toys, and dogs both real and imaginary, Room relishes each moment of emotion and sensory overload surrounding a mother and her son learning how to be normal once again in a big, bright world of possibility. It's a magnificent film that understands how to genuinely inspire through its diverse reflections on resilience.